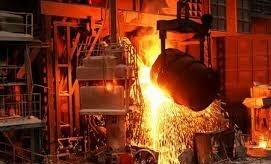 The Trump administration recently announced that it would impose tariffs of 25 percent on steel imports and 10 percent on aluminum imports from all countries except Canada and Mexico. Despite the fact that these tariffs affect only a narrow sliver of the U.S. economy and are quite modest in size, many commentators have claimed that they will have an outsized impact. Critics point to a recent study by Joseph Francois and Laura Baughman of The Trade Partnership, which claims that the tariffs would result in a net loss of 146,000 jobs. In a new report, EPI Director of Trade and Manufacturing Research Robert E. Scott explains why the actual economic impact of the tariffs will be quite minor, and why Francois and Baughman’s study should be treated as an outlier and not as a guide to policy decisions. Scott argues that the Francois and Baughman results are driven overwhelmingly by a nonstandard modeling assumption. Relaxing this assumption and bringing the Francois and Baughman model in line with the vast majority of trade policy modeling reduces their estimate of job losses by roughly 97 percent—dropping the estimated number of jobs lost from 146,000 to under 5,000. “There is no credible evidence that these tariffs could drag on growth in demand anywhere near enough to generate employment losses as large as the authors report,” said Scott.